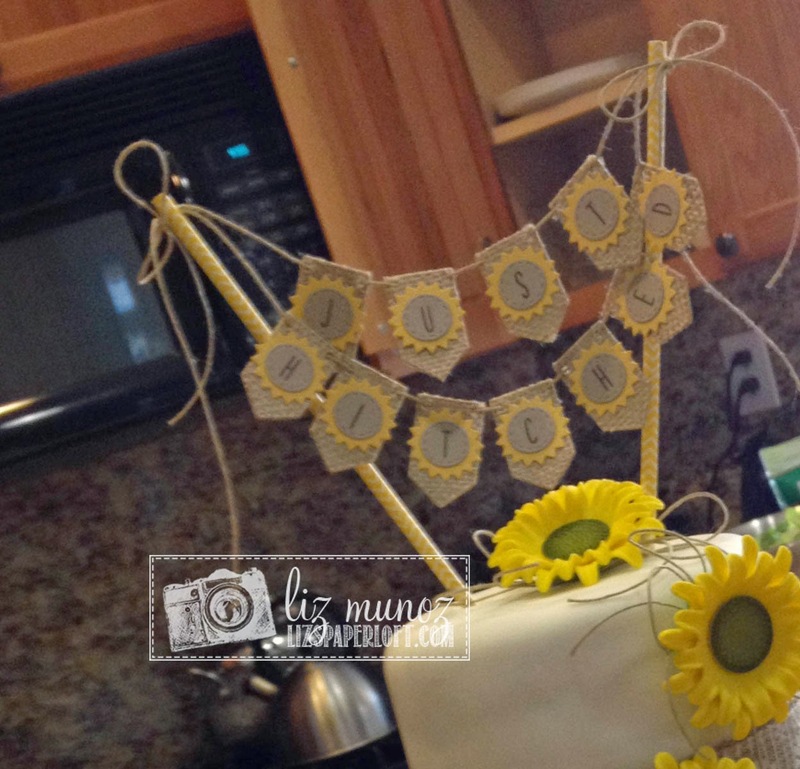 Liz's Paper Loft: MCT Thrifty Thursday ~ Just Hitched! Happy paper peeps, it's Thrifty Thursday over at My Creative Time! I couldn't decide which yellow to use, since I didn't know the color of the sunflowers, so I went with the piece that I could get enough star burst out of. I first attached the burlap to the kraft paper, then ran it through my big shot with the die. I think it turned out so CUTE and no one would have ever thought it was just scraps! OH WOW your banner turned out really pretty and gosh what an awesome pic and the whole setting is fabulous gosh what a beautiful setting. Looks like a pic that would in Better Homes & Gardens WOW.....You did one awesome creative job for sure!! How adorable!!! Your banner is precious, and the cake is just gorgeous! Love the burlap! 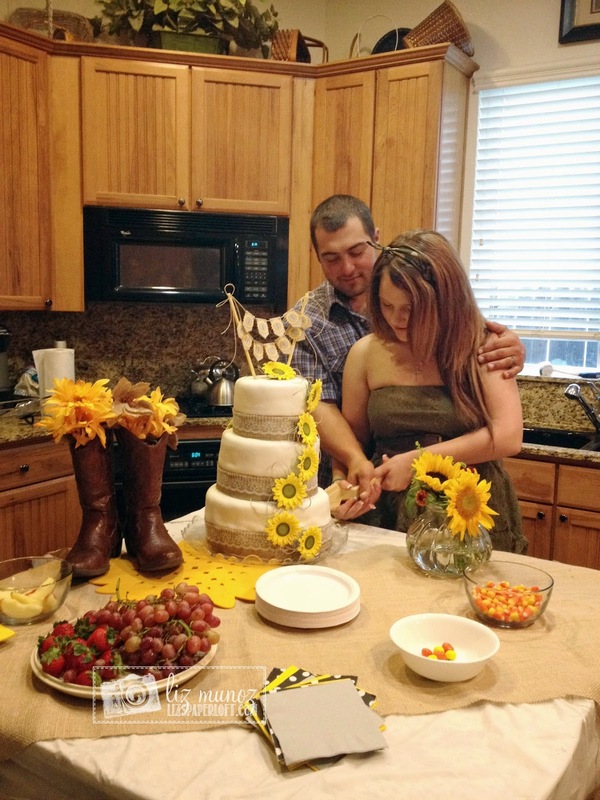 Such an AWESOME banner for that gorgeous cake!!! 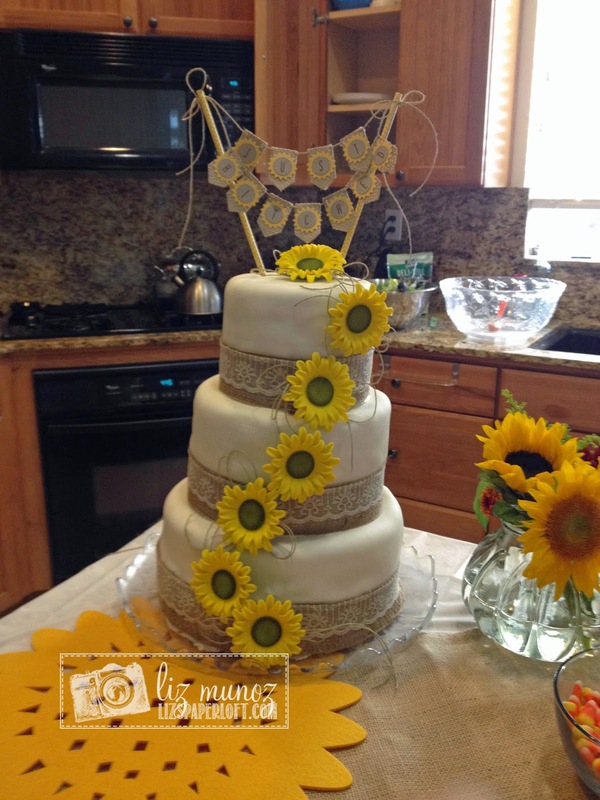 Beautiful cake topper Liz. I love the picture of the happy couple. 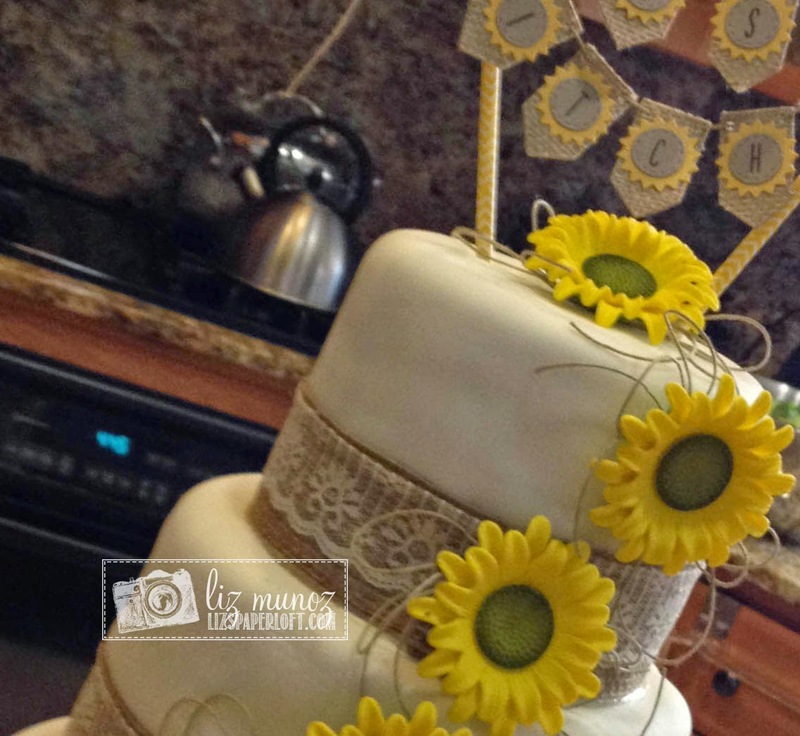 The banner is a perfect complement for the sunflowers and looks great on the beautiful cake. I like the burlap and lace with the hemp. Fabulous job! Oh my Liz ~ this is simply creative and stunning!! I bet the happy parents to be were over the moon with this GORGEOUS baby shower!! AMAZING job!! !